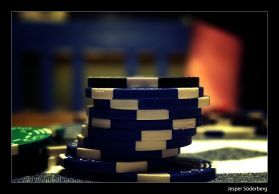 To understand how to play roulette starts with understanding the wheel. Roulette is a played on wheel with either 37 or 38 slots depending on the version of roulette. The slots are each numbered from 0 to 36. The American version has an extra double zero slot making it have 38 slots in total while the European version has 37 slots. The slots are painted red or black in an alternating pattern. The 0 or 00 slots are painted green. A dealer or a banker spins the wheel and rolls a small ball on top which then falls off the wheel's edge and rolls to settle on one slot. The slot on which the ball settles is the winning slot. You can play this game in any casino online. But it really rarelly happens that you will be given the casino bonuses for this game. The table is laid out such that numbers other than 0 and 00 are lined up into three columns of 12 numbers each and twelve rows with three numbers each. Each roulette table sets the minimum and maximum bets you have to place but does not limit the number bets you can make in a spin. There are basically two types of bets i.e. inside and outside bets. The betting pattern is what you need to understand to know how to play roulette. Straight bet means betting on a particular number to win. It is the most difficult prediction or bet to make but promises the highest payout ratio of 35 to one incase you win. Split bet means an either or bet where you bet on the probability of the ball falling in on of two slots. If you win you are paid in the ratio of 17 to 1. This is abet on three numbers in a row and attracts a payout of 11 to 1. You are basically betting on a group of four numbers usually making a corner and the ball resting on one renders you a winner. The payout ratio is 8 to 1. Five number bet usually involves betting on the numbers bordering single zero pocket. 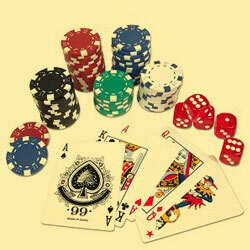 This offers a payout ratio of 6 to 1 but presents the casino with an additional advantage so is less suitable. This involves betting on one of six numbers in two adjacent rows and promise a payout ratio of 6 to 1. This is nearly a 50 -50 bet where you bet on the ball resting on either red or black slot and earns a payout ratio of 1 to 1. This is similar to red or black and carries the same pay out ratio similar to betting on high or low number.